If you're searching for the best runabouts in the recreational boating market, you've come to the right place—here's our top 10 picks including models from manufacturers like Sea Ray, Four Winns, Cobalt, Crownline, and more. Outboards are taking the runabout market by storm. Modern outboards are quiet, smoke free and provide reliable propulsion while at the same time freeing up space in the cockpit. We’ve got a few outboard-powered models highlighted here, and some sterndrive models, too. These are some of the best runabouts of 2018 and worth a look if you’re looking—also be sure to check out last year's models in the Best Runabouts of 2017. The Bryant 210 is one of the models that helped the company establish its reputation for building solid, wood-free runabouts. The company has added a new twist to the 210 by creating a Surf Edition. 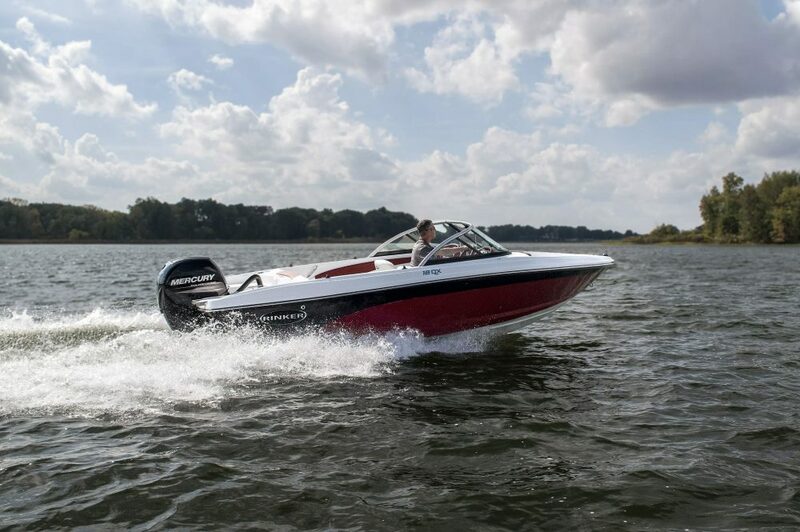 Like many other sterndrive runabout manufacturers getting into the wakesurfing market, Bryant uses the Volvo Penta Forward Drive to create the driving dynamics that can create a usable wake for surfing. The upside is that it just looks like a regular runabout with a towing tower, and that will appeal to a lot of buyers. 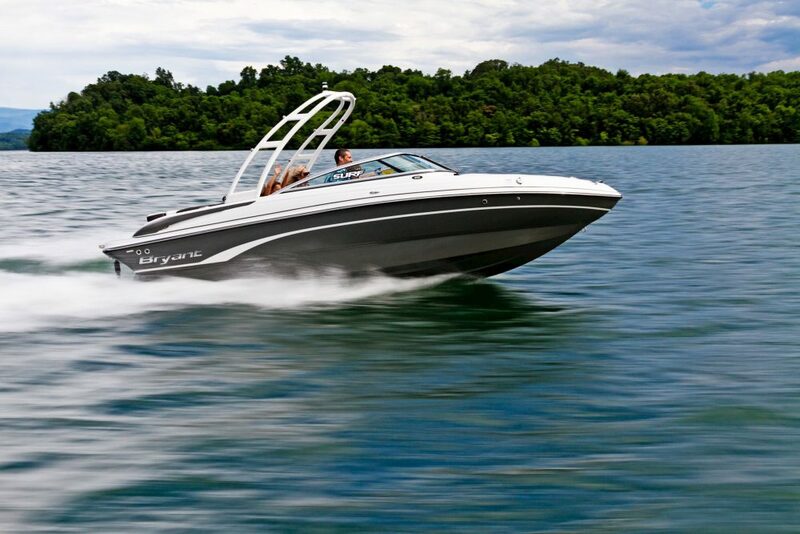 The Forward Drive also lets owners use the boat for other things, like going to dinner and getting home in a hurry. Trim it out and it drives like a regular runabout and achieves greater cruising and top speeds than an inboard. With retail prices starting at $37K and change, the Chaparral 21 H20 OB sport makes a lot of sense. For starters, Chaparral builds a lot of different kinds of boats, and the technology, techniques and materials from its larger boats often trickle down into its smaller models. That makes for a much nicer entry-level boat. That certainly applies to the 21 H2O OB Sport, which comes standard with a 150-horse Yamaha outboard with a three-blade stainless-steel propeller. A bimini top is optional, as is the towing tower, but colored gelcoat on the hullsides is standard, and that often costs extra on boats in this category. One of the more innovative features of the 21 H2O OB Sport is the rear sun pad, which conceals a giant stowage compartment inside, a walk-through to either side once you flip up the bolster. The stowage compartment lids also hold up the left and right sides of the sun pad to create a chaise longue. That’s the kind of thinking gleaned from larger models and something that found its way into Chaparral’s entry level H2O series. 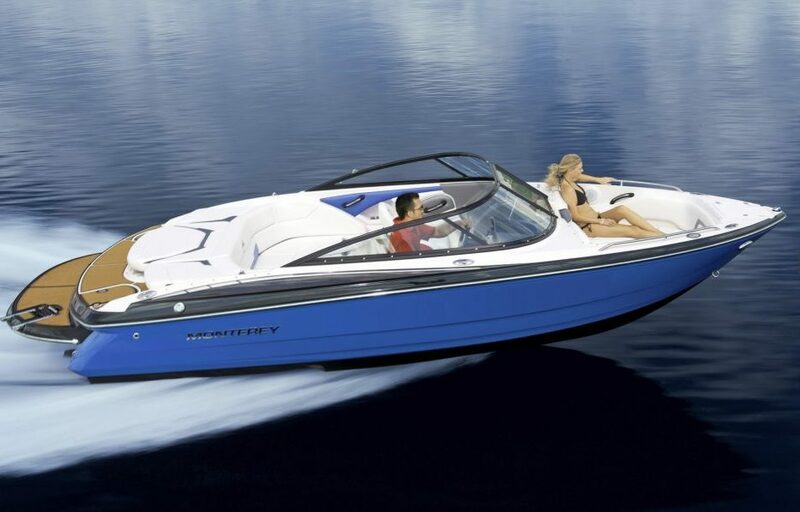 Read our full review of the Chaparral 21 H2O OB Sport, or view listings on boats.com. It would be difficult to do a “best of” runabout list without including something from Cobalt. So we’re confident in including the Cobalt 23SC in this roundup. There’s a lot to like here, especially the way Cobalt designed the swim platform, which is full-width so you can board the boat from either side and not have to step over a well in the transom where the outboard is mounted. The flip-up swim step also is pretty trick. What’s more, the 23SC has those hallmark Cobalt touches like the French-stitched dash upholstery, the effortlessly convertible lounges at the stern and the observer’s seat. Other nice touches? How about a head compartment, fold-down bow lounge armrests and a telescoping ladder tucked into the anchor locker. It all adds up to create boat we had to include in our roundup and one you should include on your short list. Read our related review on the big brother model, the Cobalt 25SC, or view listings for the 23SC. The Crownline E 295 XS is the newest and largest model in the outboard Eclipse series, and it’s a standout in the runabout market. 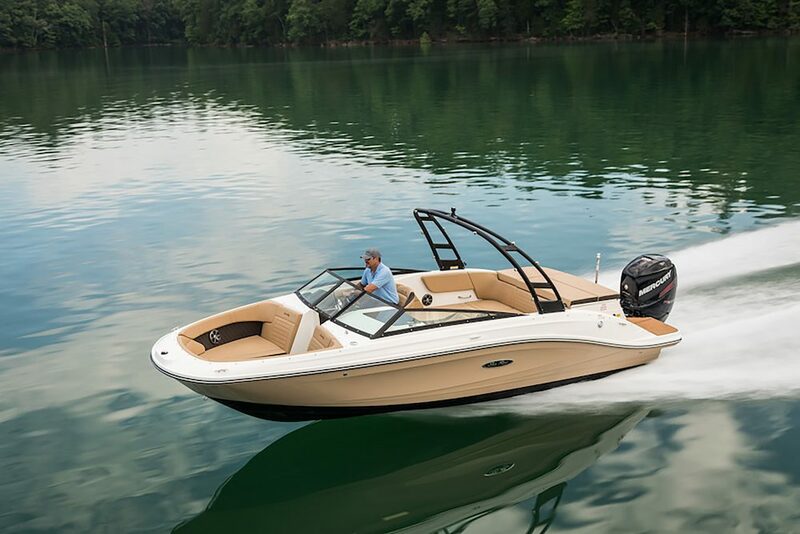 For starters, the boat comes standard with the aluminum hardtop, and maybe a boat that costs $215,377 should, but it also comes with a number of other features that make it a standout. 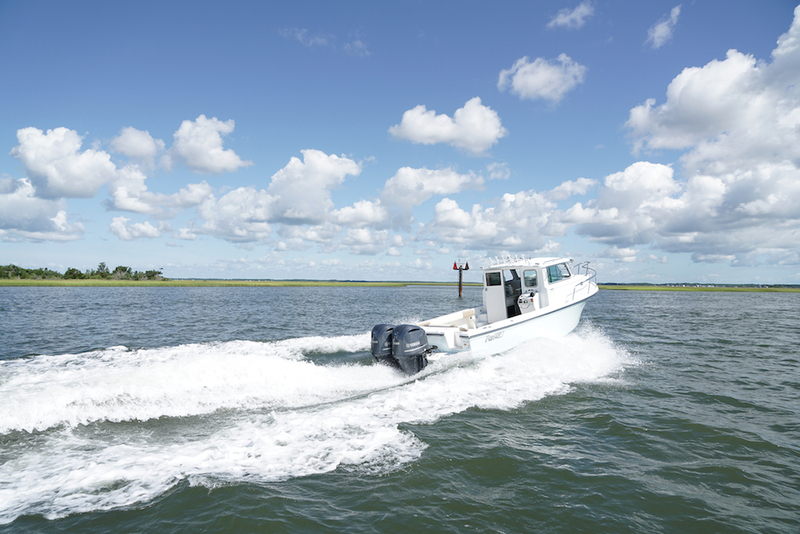 Standard power is twin Mercury 200-horse outboards with digital throttle joystick controls. It also comes standard with color-matched bow and cockpit canvas, a drawer refrigerator in the cockpit in addition to a 36-quart removable cooler in the bow. You also get docking lights, a head compartment with a real commode and an 9-inch Raymarine touch screen multifunction display. 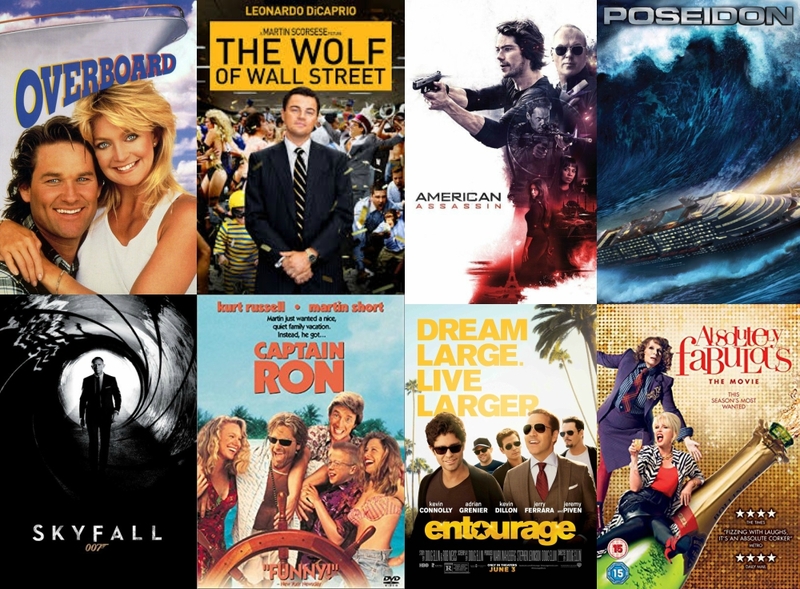 These are all standard! Crownline includes other goodies like a Kicker stereo, which seems to go well with the underwater transom lighting. And we haven’t even gotten to the options list. It seems like the big runabout has been given a new lease on life thanks to outboard power. Buyers were opting for things like deck boats and, gulp, pontoons to provide room for more passengers. 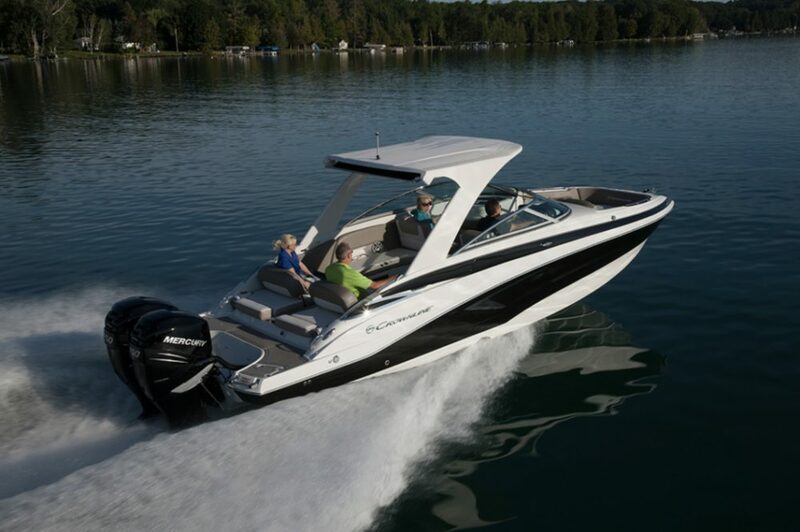 With something like the Four Winns Horizon 290 OB, you can have enough room for a big group, and still have something fun to drive and sporty looking. 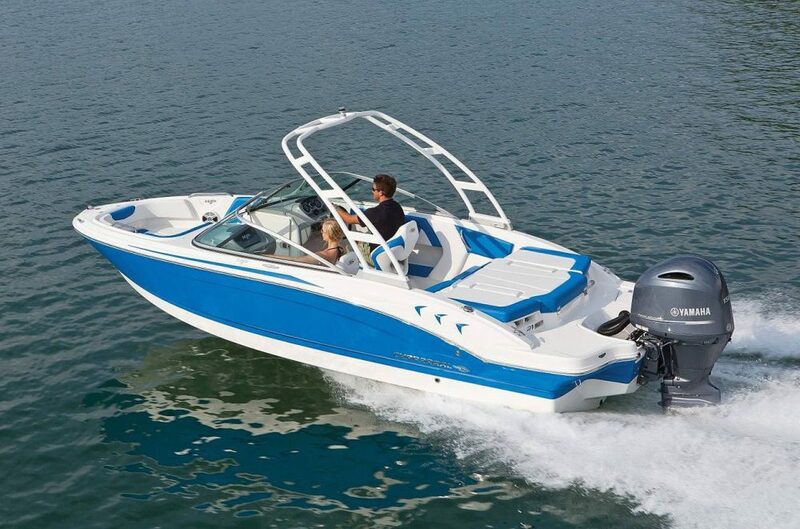 The 290 OB comes fitted with twin 250-horsepower Mercury Verado engines. They’re quiet, smoke free and run more smoothly than any 500-horsepower single-engine sterndrive ever could. That means not having to shout over the engines when you’re under way. Standout features included the bow area, which has a jump seat to port and a full-length lounge to starboard, lift up headrests, a cockpit sink and a walk-through to the full-width swim platform. See Four Winns Horizon 290 OB listings. Buyers interested in something fun, light, easy to tow and easy to own should look into the Larson LX 185 OB. It’s all of those things and more. Weighing in at just 1,790 pounds, the 185 is a snap to tow. Nearly anything will pull it. That light weight also makes the 185 fun to drive. The standard 115-horse outboard, from Mercury, Suzuki or Yamaha, will move a boat like this around easily. Opt for a 150 for even more fun. There are a number of options you can go with, but to keep it genuinely affordable, just get one in standard trim. 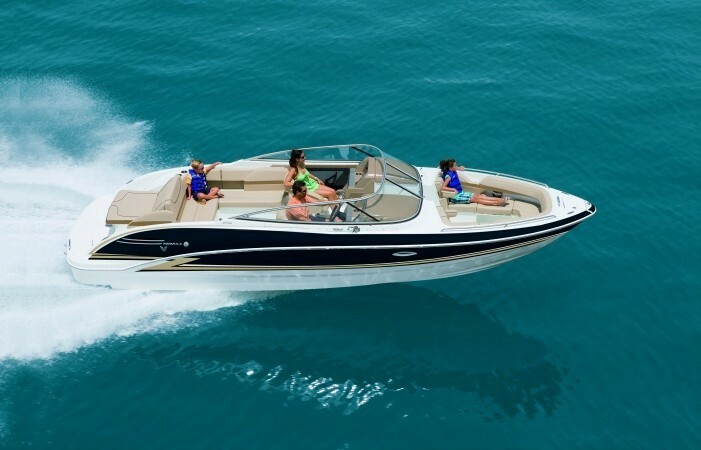 Starting at $36,593, the LX 185 OB is a great way for someone to get into boating something new rather than used. 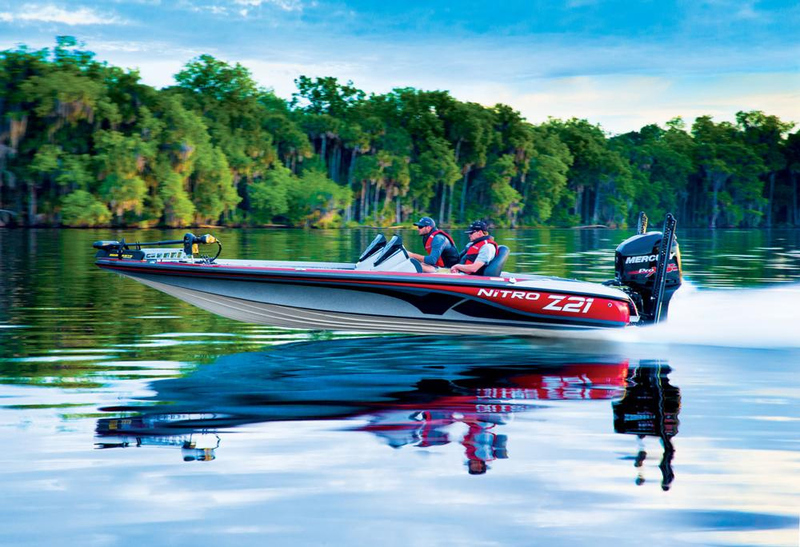 Buyers know that outboard power is all the rage nowadays, but it’s hard to argue against the sleek profile and undeniable good looks of the Monterey 224FS. It’s stunning from the get-go. The opulence continues inside, where the French-stitched dashboard is a treat for the driver, with padded vinyl inserts and faux carbon fiber appliques, the 224FS helm is very now and very cool. 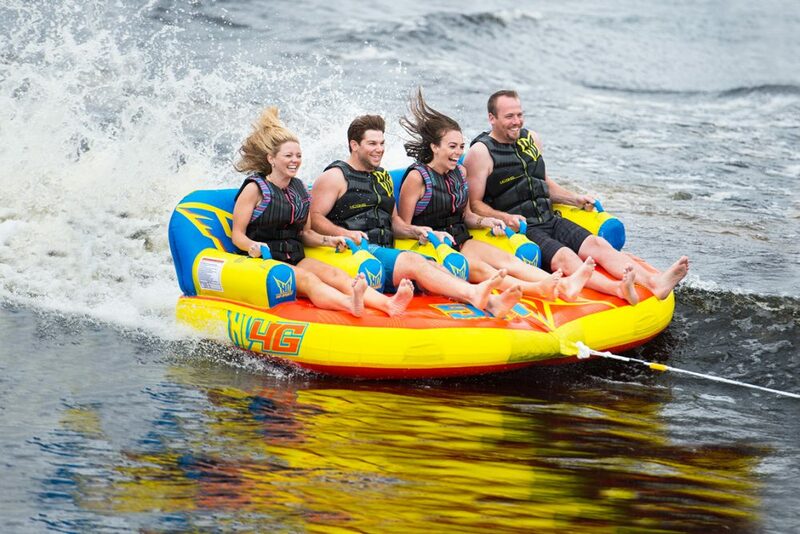 There’s a flip-up thigh bolster, which is great for docking and an angled footrest for a comfortable ride in choppy water. It’s also highly functional, with a J-shape wraparound lounge, a rear facing observer’s seat, Sea Dek covering the sole, swim platform and anchor locker. The boat has a European flair that instantly recognizable. Everyone has to start somewhere, and new boaters would do well to check out the Rinker 18QX Outboard model. It’s a great place to start for a number of reasons. 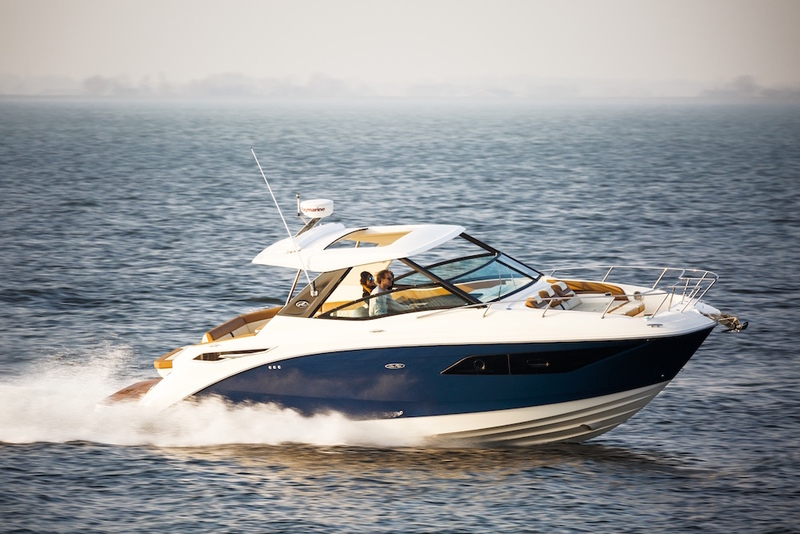 One, it’s new, and new boaters are typically better off buying a new boat with a warranty. Two, it’s built by one of the most experienced companies in the country. The 18QX comes with everything you need, which is plenty. It’s also cleverly designed in that the outboard engine tucks into the transom so the boat can be stashed in a normal garage. 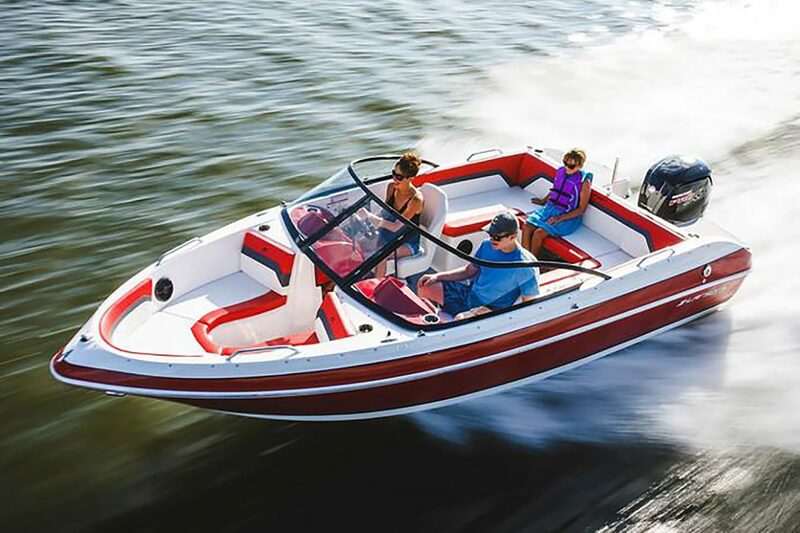 Typically priced at less than $30k, it costs less than the average new car, which puts it in reach of a lot more people, and that’s the whole point of boating. 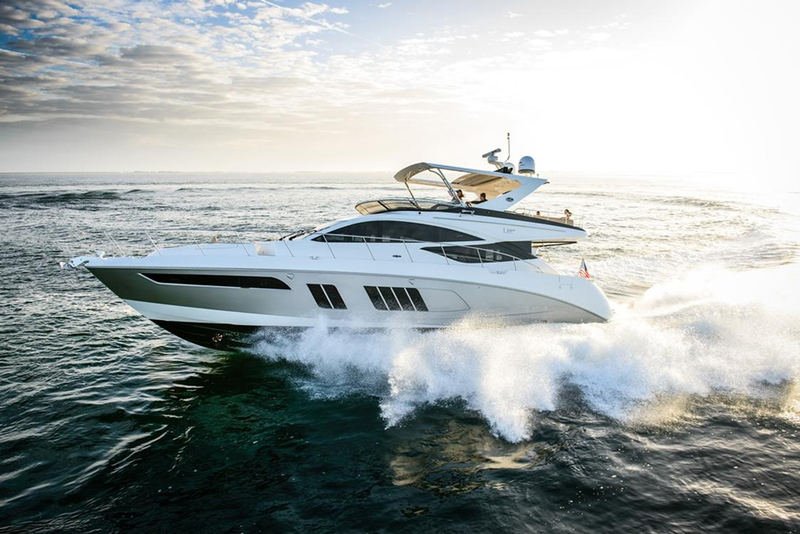 Sea Ray recognizes a good thing when it sees it, and the SPX 230 OB is one such result. 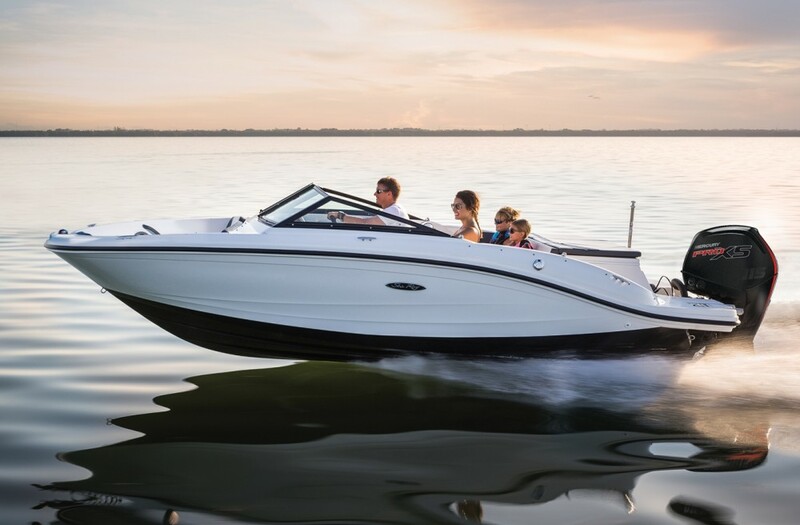 By using outboard power and a wide-bow design, the company created a versatile runabout that’s lightweight, yet about as roomy as 23-footer as you’ll find. With two seating arrangements to choose from, the SPX 230 OB offers ample floor space, acres of stowage and seating for 13. It also comes with a head compartment that’s smartly integrated into port side cowl to offer more room inside. 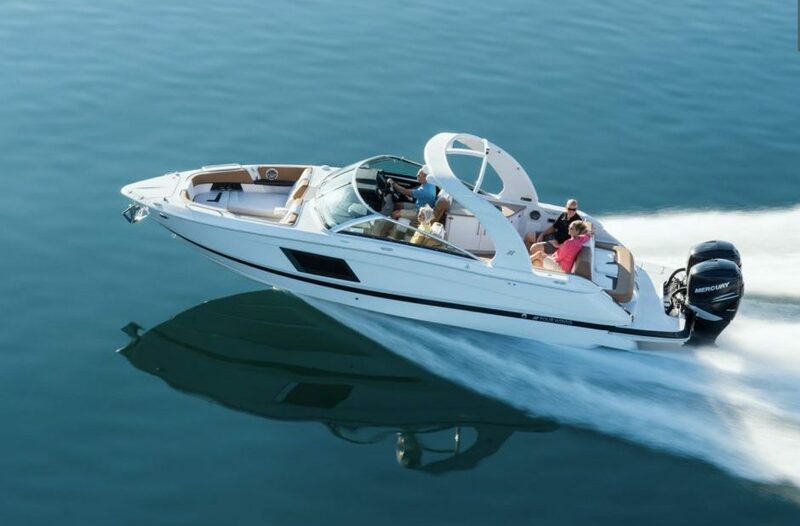 All the familiar hallmarks of Sea Ray build quality are evident, and this really is a boat suited for new buyers and seasoned boaters alike. 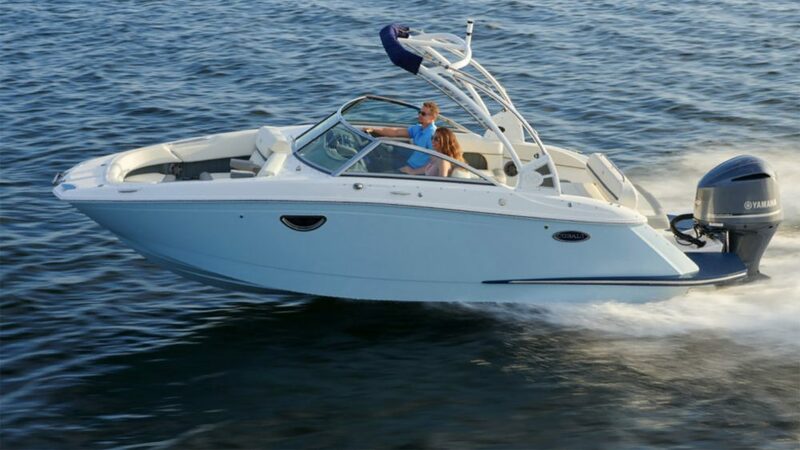 See Sea Ray SPX 230 OB listings. It’s always difficult to build a boat that blurs the line between genres. Stingray does it masterfully with the 234LR Sport Deck. It’s a runabout, sure, but it also has some traits commonly found on deck boats. For example, the 234LR has a cockpit sink, a hand-held shower at the transom and a head compartment tucked beneath the port side windshield cowl. The 234LR also has a walk-through to the swim platform, one up front, with a self-draining cooler, anchor locker and telescoping ladder tucked beneath the forward-most compartment. The whole package just works, and it has that trademark elegant simplicity of a Stingray product. If you prefer sterndrive power, you can get the same package in the 235LR. 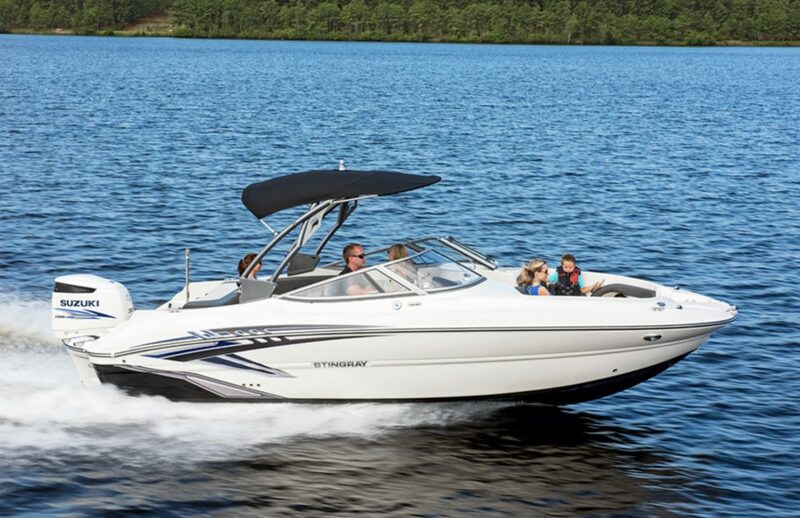 See Stingray 234LR Sport Deck listings.